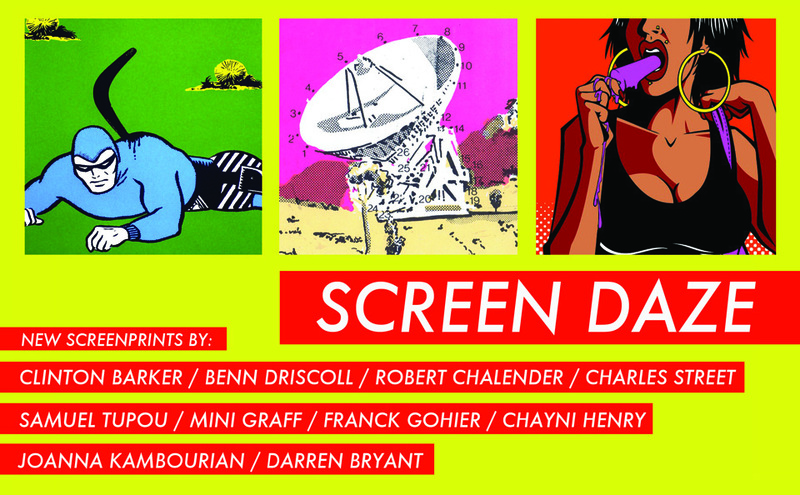 Poly Gone Cowboy presents ‘Screen Daze‘, a group exhibition of new screenprints by local Brisbane and interstate artists: Clinton Barker / Benn Driscoll / Robert Chalender / Charles Street / Samuel Tupou / Mini Graff / Franck Gohier / Chayni Henry / Joanna Kambourian / Darren Bryant. 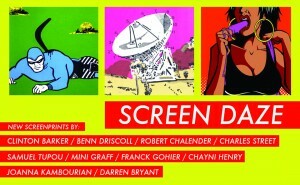 Opening night reception featuring music by King Colossus and Fronz Arp: Friday 26th September 6pm – 9pm. Show runs September 26th – October 17th.